Kim Collins 6.48 60m, but What Does that Mean for 100m? 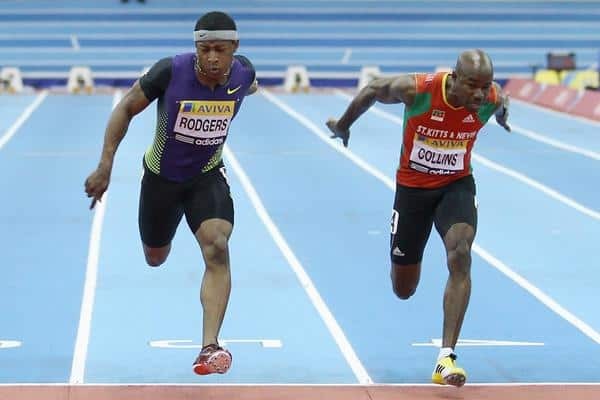 First, Congratulations to Kim Collins on his recent 6.48 60m win in Moscow. Anytime someone runs a sub 6.50 60 meter is enough to impress me. Especially at age 38. Whether he is clean or not is NOT the topic of this article. I already wrote 6 Reasons Why Kim Collins is Clean. The best way to determine your 100m time is to run 100 meters. Does a 6.48 convert to a 9.91? The answer is yes, if you can run 0.82 for the next 40 meters with exceptional speed endurance. These tables or conversions assume a maximum velocity to 60 meters, followed by speed endurance maintenance for another 20-30 meters, and a deceleration anywhere from 10-15 meters. Based on previous world records, a conversion of 1.53 or 1.54 would give you approximately 9.91 – 9.97. Kim Collins PB is 9.96. Still pretty impressive, but no 9.69 which is what the whole world wants to see. At least to non-track fans where the only thing that matters is a world record. Women’s athletics have it tough with so many records out of reach from alleged drug use. The Pole Vault and 5000 meters are the only events where records are being broken. (add the new events like Steeplechase, Hammer Throw and Triple Jump) Forget the 100mH-100-200-400-800 and forget the 1500-3000-10,000 meters. Even a 2.09 HJ or 7.52m LJ can make Men green with envy. Financial incentives for breaking world records will be tough for the ladies! Is the 60m to 100m Conversion Table Useless? One poster on the T&FN forum suggested you can extrapolate a 100m using 2 x 60m time minus 3 sec, which to me just doesn’t add up. But does it? The problem with any conversion of a 60 meter race is Super-Elite athletes today like Usain Bolt and Tyson Gay are accelerating to maximum velocity well past the 60 meter point… up to 70 meters. So for those Super-Elite athletes, just take those tables and throw it away. Unless, of course, you want to have indoor 70 meter races with extra large crash mats! Then we can talk 70 to 100 meter conversions. So is this the new formula? So, with all these sub 6.50 60m times, it made me think… when will the indoor 50 and 60 meter world record be broken? And why are the indoor times slower than the outdoor splits? Even with the lean for the tape? 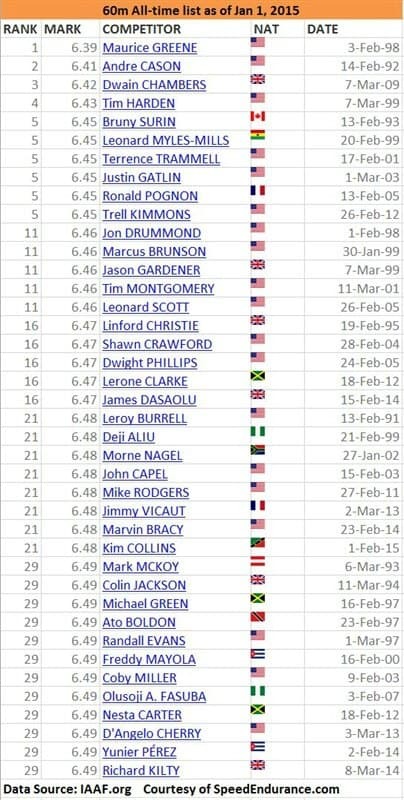 Take a look at the chart below and it’s clear Maurice Green ran close to his potential indoors, which explains why he still has both indoor world records 14 years later. Bruny Surin’s times are slightly faster for the outdoor equivalents, but nowhere near Usain’s Bolt’s 5.47 and 6.29 split times. Note how we have many sub 6.40 60 meter splits, but only 40 sub 6.50 indoor times all-time, 6 in the last 2 years. In fact, there are only a handful of performances from the last 10 years that make the top sub 6.50 list. 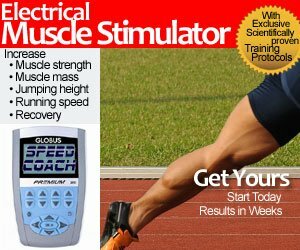 If we are indeed getting faster, why aren’t we seeing faster 50 and 60 meter times? You can argue you haven’t peaked yet, though if you are training short to long, then your emphasis over the fall and winter should be 60 meters anyways. You can argue you don’t have enough races. True, you need 5-7 races to peak properly for the 100 meters. You can say you simply ignore the indoor season (**cough cough avoid drug testing cough cough**). There are currently 3 Jamaicans on the second chart. You can argue outdoors tracks today are made super hard to favour faster sprint times and over the distance runners. The 10K runners complained loudly in Atlanta 1996… the same year Donovan Bailey and Michael Johnson both broke world records. And we saw what happened in London 2012. You can argue the new rule of no false starts plus the use of electronic sensor pads puts sprinters to a disadvantage. You can no longer anticipate the gun (**cough cough Donovan Bailey’s 5.56 WR cough cough**). Changing the reaction times from 0.100 is a hot debate. But wait, I said there were 6 reasons? 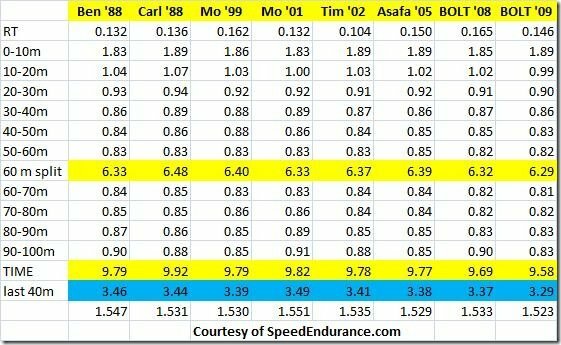 Why aren’t more sprinters running better indoor 60 meters? #6 – It’s because they are afraid of crashing into the wall. Psychologically they are slowing down. When you are a freight train moving at 27.8 mph (44.7 kph) and see a wall in front of you, you better put on the brakes!